Made in very high quality Black cowhide (not split hide). 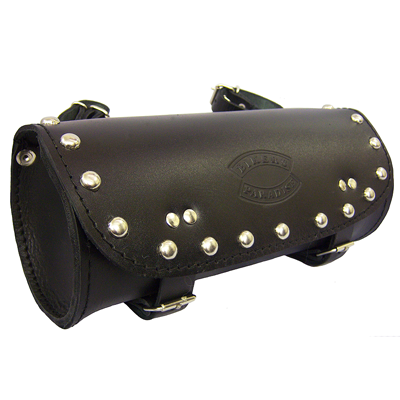 Strong leather adjustable straps to attach to your bike. Small tool roll approx 29cm long X 12cm Dia. Large tool roll approx 33cm long X 12cm Dia.